Increased digital technology and website improvements have uncovered another discovery in the story of Micajah Clark Dyer. A descendant of MCD sent the foundation the following link, a publication called the Official Gazette of the United States Patent Office. It is simply an annual publication with a synopsis of each patent filed that year. The online version can be downloaded as a PDF and saved to your computer for viewing offline. Both the internet browser and Adobe PDF controls will allow you to zoom in on page 315 for better viewing. 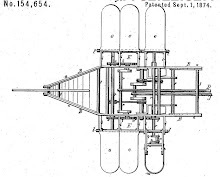 The Gazette reports that Clark filed his patent on June 10, 1874. 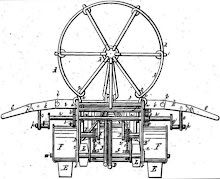 Of particular interest to the developing story of Clark's invention, the description listed in the Gazette gives expanded details about how the parts of the apparatus fit together to operate.